Factory Girls were made in 2010 following consultation work with young people from Salford College, Salford Foundation, Eccles Youth Club and Ordsall Community Arts. Factory Girls comprises of three life size figures cast in iron and colour coded in Vitreous Enamel. The work references Salford Quays industrial heritage and the role of female factory workers at Metropolitan Vickers during WW2. 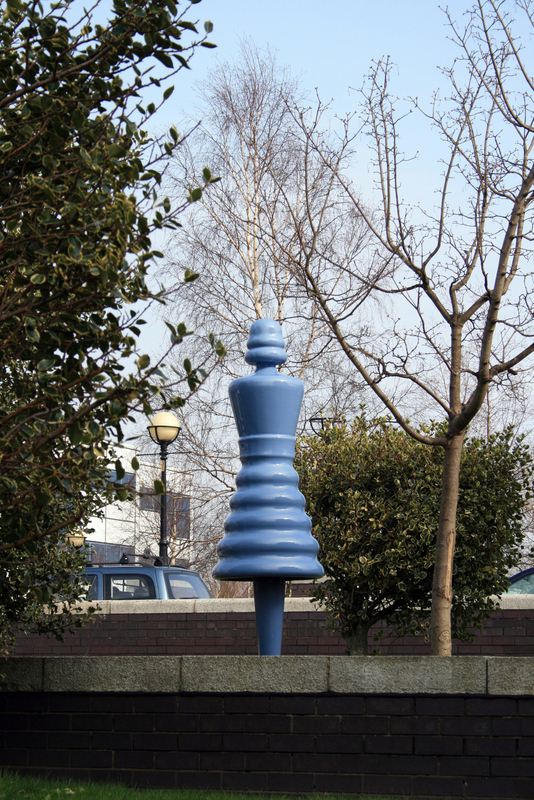 Metropolitan Vickers was once the largest factory in Western Europe and the forms of the figures are inspired by products that were once made at the electrical engineering firm in Trafford Park. Each enamelled figure is named after a former employee. (Doreen, Margaret and Edie). The colours and iconic form aim to reflect the war effort and the 1940’s era.